Red Star Marketing is a boutique dental marketing agency specializing in high performing dental website design. 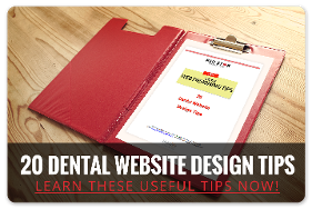 Your practice gets a dedicated person to help you develop an effective dental websites from start to finish. We at Red Star Marketing manage the entire process so you can focus on caring for patients. It starts with an attractive dental website design to convey an up-to-date look and keep prospective patients on the website. After you approve the home page look and feel we complete the rest of the pages. Well-structured, easy to navigate and properly coded by a dedicated expert. The site functions well on a variety of formats, including mobile phones and tabs, so it can be easily read on all devices. Well written original content that answers the readers questions and converts them to patients. On page optimized for title tags, meta data and headers with the correct keywords to attract more of the patients you want to serve. It usually takes 6 weeks to three months to build A QUALITY dental website. The biggest slowdown is getting the content from you. Of course, we have writers who can produce the content for you. We are located in Kansas City and work with dental practices locally and nationally on all phases of designing and developing dentists’ websites. Since websites are an online medium, it is easy to work virtually on designing your site. Why RSM, because we focus on building dentists websites, we better understand the content they need to engage the prospect and convert them into patients. We understand dental lingo and all the treatments. Get your basic questions answered about updating your site. Once we receive 50% down (50% before going live) and we receive the website discovery form we can schedule a kickoff meeting to start. Built in WordPress so you have a content Management System (CMS) to make changes. Use a Responsive web design to show up on in all formats and devices. Website SEO coding and analytics. Term and Privacy Statement page. An old dental website conveys to a prospective patient that your practice may not be up-to-date. These 20 tips will help. To get started call Shawn at 816-223-1400 or email shawn@redstarmarketing.com to set up a time to discuss your website project and see if we are a good fit to work together.